Since offering our 1-to-1 Maths tuition services, at the centre, we’ve had a steady stream of enquiries. Though we have a limited number of hours for this service, one thing we are seeing is the effectiveness of the 1-to-1 tuition we offer. The video below shows one of our pupils reading a question and then going through her thoughts and working out how to solve the problem. Might not seem that impressive when we put it that way, right? The difference is not noticeable by someone that may just watch the video without seeing how this young lady has made huge progress in many things Maths! 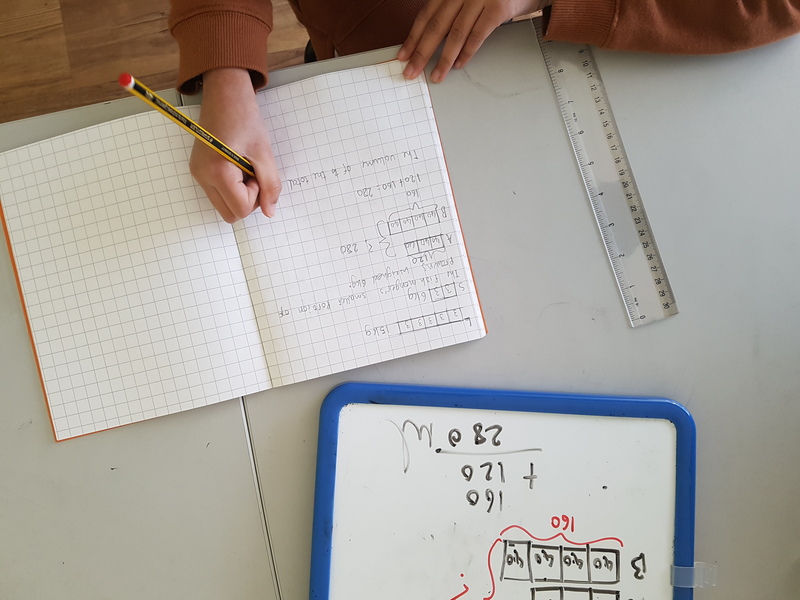 Firstly, she has made massive progress by her just being able to confidently articulating the maths and her thinking which she hasn’t done as well as this in the past especially when we first started the 1-to-1 maths tuition with her. She has made huge strides because we don’t rush topics and we cover topics using the mastery approach. This means a lot of fvisual representation, covering all angles of each topic as well as a high level of questioning in each lesson. We have three options for 1-to-1 maths tuition. We start 1-to-1 Maths tuition from Year 2 all the way to GCSE Maths for all three of these options. Leyton Centre – For those who live in East London, your child has the added advantage of having our maths specialist resources at the centre. This is ideal for those who would require a more hands on and visual approach to teaching and therefore understanding maths. Home service – We offer a 1-to-1 maths tuition service in the convenience of your own home. This service is available only in the greater London area where our qualified Maths tutor will spend at least an hour a week covering key areas to support your children. This 1-to-1 service starts at £35 an hour for Primary and Secondary maths tuition. Worldwide online service – If you are not in Greater London, then we have our online team that can support your child. Singapore Maths has a strong emphasis on problem-solving and so our online team work hard to give unique visual approaches to problem-solving especially in primary and early KS3 Maths. We can tailor the lessons to what you feel your child need more of, so feel free to let us know where you feel we should start. Whichever service you decide is best for your needs, you will be guaranteed a quality service where a qualified maths teacher will deliver a lesson which follows the world’s no.1 teaching style (pedagogy) – Singapore Maths. We cover national curriculum and 11+ entrance examinations where we have found the unique Singapore methods to solve problems really supports many pupils who find problem-solving a challenge. Get in touch with us through our contact form when you are ready to support your child.